After months of testing almost every 3D printing filament available today, I am naming Taulman T-glase as the "filament of choice" for printing the food system objects released at FoodRising.org. Additional inventions are coming this year, including my next invention which is an object that can remove arsenic from contaminated well water. This object will also be freely posted and downloadable. It can be printed on any 3D printer. 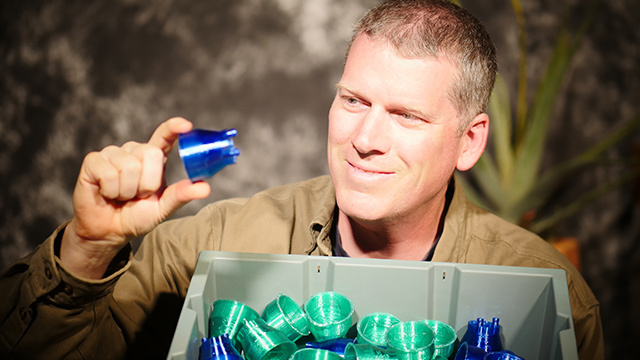 T-glase (pronouced "tee-glass") is a PET-based filament created by Tom Taulman of the Taulman company near St. Louis, Missouri. Taulman is best known for its "bridge nylon" filament which produces structurally rigid objects for prototyping and real-world use. After testing PLA, ABS, nylon, Colorfabb XT, various PET filaments and many others, I found that Taulman t-glase was the ideal filament for Food Rising projects. T-glase prints objects that are water tight. Most other filaments do not. ABS, for example, leaks through the layers. T-glase is made of a material that's approved by the FDA as a food contact surface. 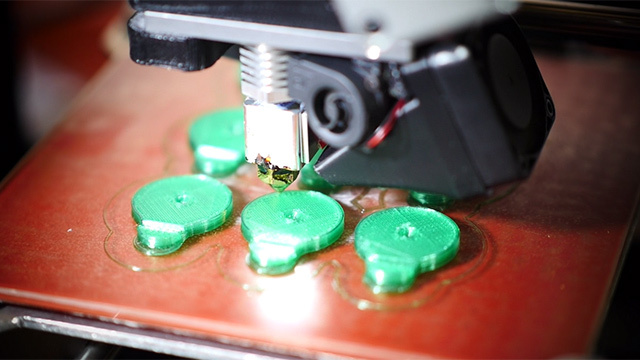 T-glase can be easily recycled and transformed into new filament to print new objects. T-glase has outstanding fracture resistance. Finished parts are extremely durable and very difficult to break if printed correctly (see print instructions below). T-glase suffers from virtually no shrinkage during printing. It can even be printed on non-heated print beds. T-glase remains flexible at the same time that it is also rigid. It can be deformed or bent with force and return to its original shape, without fracturing or breaking. T-glase is made in America and was created by an American company. Call me a patriot, but I like to support American companies wherever possible. T-glase is available now at SupplySource.com, in both 1.75 and 2.85mm diameters, in colors that include red, green, blue and black. Printing them on the Lulzbot Mini. Notice the PEI print bed and NO GLUE! T-glase is remarkably easy to print if you adhere to the guidelines. Bed adhesion is best achieved by applying this Lulzbot PEI print surface to your existing print bed. After you achieve this, you do NOT need to use any glue, ABS juice or any other method at all. With PEI sheets, you can be 100% free of bed adhesives! 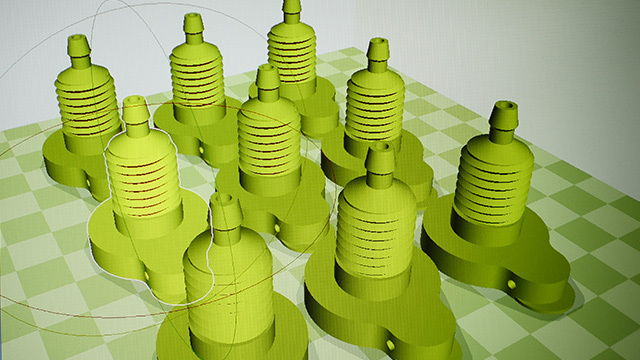 For many printers, you can simply buy nozzles of 0.5mm or better. 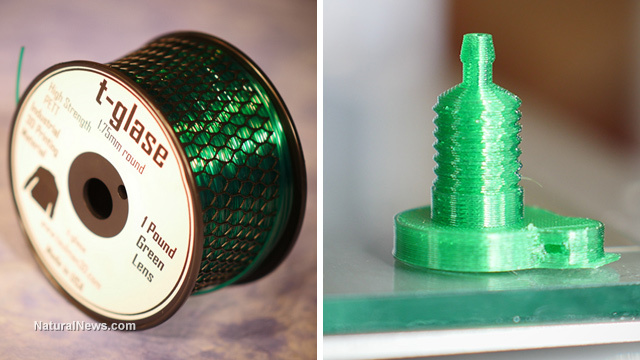 The new Lulzbot Mini ships standard with a 0.5mm nozzle that works great with T-glase! Next, you'll want to set a print temperature between 240C and 250C. This is much hotter than what people have previously reported for T-glase, but I have this information straight from Tom Taulman himself. He told me on the phone, "You want to set your temperature as high as you can go without producing air bubbles in the print." In other words, keep raising your temperature until you get air bubble effects, and then back off about 5 degrees. That's the temperature you want. For my printers, it's almost always at 250C. T-glase must be printed more slowly than ABS and other filaments. For the objects I'm printing, which have negative space cylinders and inverted cones that are susceptible to cross-stringing, the max speed I use is around 40mm/s. You can push it to 45 in some circumstances, but I would never exceed 45 when printing t-glase. I like Cura as the slicer. It just works. The most important setting in your slicer is the layer height. Most people go totally bonkers on this and think that if they set a smaller layer height, they get a better objects. This is flatly false. Please understand that smaller layer heights make more fragile objects. Larger layer heights make stronger objects due to the laws of chemistry and physics (more material is bonding with each layer). 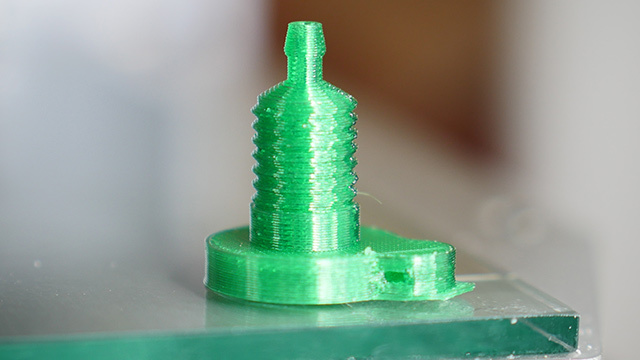 So when printing functional objects using t-glase, you want a layer height of .25mm or more. 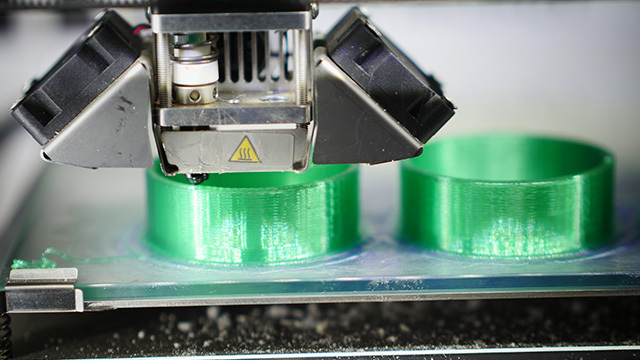 Larger layer heights also print objects far more quickly. So if you want strong objects faster, use larger layer heights. I usually run most of my Food Rising objects at .35mm layer heights. 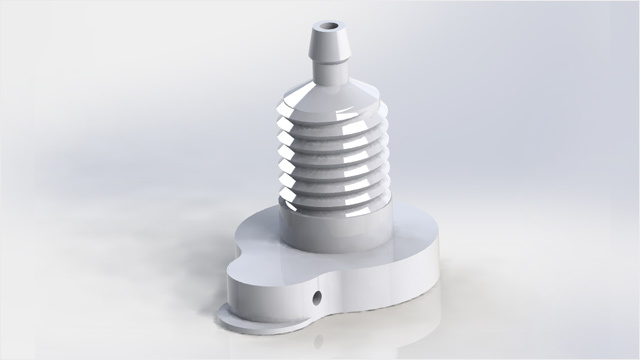 Objects that contain threads, such as the Float Valve Receiver, will be run at .30mm layer height. Certain parts for my upcoming inventions (things that remove arsenic from well water) need to be printed at .25mm layer height. But overall, you want to run t-glase at around 0.3mm layer height. T-glase is available now at SupplySource.com in various colors and filament diameters.